I was very fortunate to be able to attend the inaugural Eat Out Conference last year. I cannot begin to tell you how much I learnt, and I have already put that in to practice. You can read my updated review of Henri’s to see how I plan to go forward with my new skills. Last year I reviewed 16 restaurants for Eat Out and it was a learning curve of note. This conference helped consolidate all that I experienced last year, and has helped me continue to grow as a blogger. I have summarized the day for you here. The first speaker of the day was Luke Dale-Roberts. Luke is the innovative chef at The Test Kitchen and his philosophy is “food for thought, thought for food“. Quoting Alain Ducasse he states: I am a chef, it is what I am, it is what I do, it is what I make. Luke told us that every day inspires him, seasons inspire him and that he visualizes the dish as a whole and works backwards to the ingredients. Luke urges people to inspire and he feels food has to be tasty and delicious. This was followed by Andrew Stellitano and Dominic Davies who spoke about a sensory experience of the Cape. Dominic is a food photographer who started in fashion and ended up in food by mistake. His first food project was Shooting The Duck for Heston Blumenthal. He shares the secret that the scale of food is very important in food photography. Andrew melds sensory design and gastronomy and started off by studying graphic design. He uses modern engineering techniques of laser cutting, scans, screen printing and etchings with food. Through this he has learnt about product development and his first commission was for Gucci. He is influenced by Japanese aesthetics of food. Andrew and Dominic showcased their conversation with James Wannerton who suffers from synaesthesia. This means that he tastes everything he hears and sees. Mostly he experiences childhood tastes and these are not related to actual words. He has a problem when reading menus as food words don’t match the taste sensation. In order to experience this first hand we were given 4 brown bags labelled Epping Market, Paarl, Table Mountain and Kommetjie. Each bag contained a sweet and when James read Paarl he tasted a gob stopper. The third speaker was Margot Janse. She spoke on an international perspective on South African restaurants. To Margot, using ingredients to make food is a fundamental part of who we are. She states that she is Dutch by birth and South African by choice. Margot shares how our change during the transition opened a whole new culinary world for South Africa and how she has discovered a new African culture. Her love for food and cooking has become an obsession for her. She is inspired by South African produce and the abundance of it. Margo thinks that food is unique and special and she uses only local ingredients. It is important to her to know her suppliers and she might source only once ingredient from a single supplier. They have a cold room at the restaurant to hang meat and she goes as far as to pick her own wild herbs. First and foremost Margot believes in integrity and honesty and she cooks what is available here and now. Margot encourages people to speak their own culinary language and to stay excited at all times and constantly improve. Margot shares how Africa has taught her humility and that they cook lunch for 100 hungry schoolchildren every day. She has raised R1 000 000 through fundraising and part of the funds have been donated to feed a further 750 children. Hetta van Deventer-Terblanche is one of the most amazing people I have met with regards to her research into our food history. Her topic was storytelling on a plate. 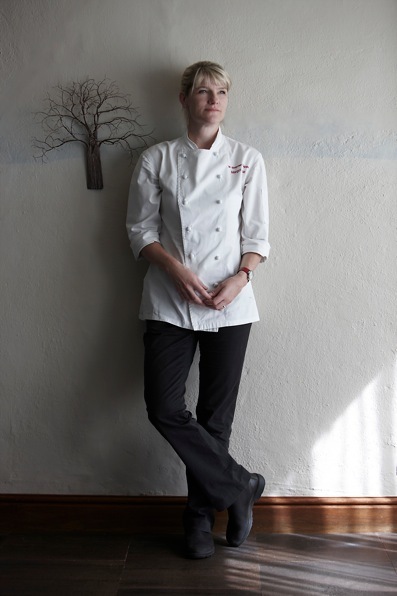 Hetta is the culinary consultant at La Motte and the author of Cape Winelands Cuisine. One of the most interesting aspects to her talk was how roses were planted in the Cape to make rose water and that the Company Gardens were started to grow vegetables for the Cape. She believes that we have unique tastes and taste combinations in South Africa and that we need to share our secret recipes. Her parting words are “Go and find your story”. 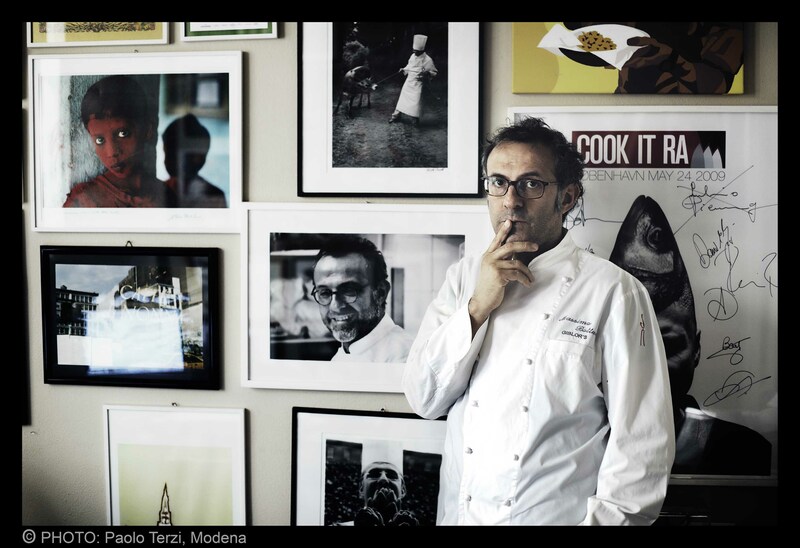 Massimo Bottura presented his talk titled come to Italy with me, which is the title of his tasting menu at his restaurant. I am very excited that we will be eating at his restaurant next month. Massimo states that it is very easy to cook in a place where beautiful produce comes from. Emilio Romagna is the food and motor capital of Italy and we will be visiting the region for the second time this year. His team is very important to him. To showcase just how important the people in his life are to him, Massimo produced a video (I have the copy) and it starts in Italian with his mother telling the story of their food history to her grandchildren. It moves on to visuals of Modena and his team with the grandparents telling their stories. His food is about this history. Massimo believes that the past is a treasure and that you must never throw anything away. Massimo tells us to know who we are and where we come from and that culture generates awareness and that awareness generates knowledge. He tells us to believe in what you are doing and listen to your soul and your palate. Culinary knowledge must respect the ingredients and knowledge generates responsibility. We need to understand that there is tradition in evolution and we must respect tradition. The classics are important and people need to believe in what they are doing. In the restaurant his chefs move around in the kitchen stations so that they are skilled in all aspects of the business. Disclosure: I was invited to attend the event. My invitation did not state that I had to write a review of the event. This post is in line with my blogging policy. Sounds like it was a fantastic conference! I would have loved to have heard the ‘come to Italy with me talk’. Food and Italy it never gets to be a tiresome topic does it. Sounds like a fun experience and a great conference!! Sounds like an amazing day Tandy. I am very envious! It was a fantastic day Claire! The speakers were interesting and offered something new! Tandy, what a wonderful event this must have been! It sounds like there was a real ‘buzz’ about it! There was a great buzz! It had to be very inspiring. Lucky you. I was very inspired and very lucky! I really enjoyed reading this. I think there is a lot of information here that will be a great reference source for me and your other readers. Bookmarking. That sums it up very well!